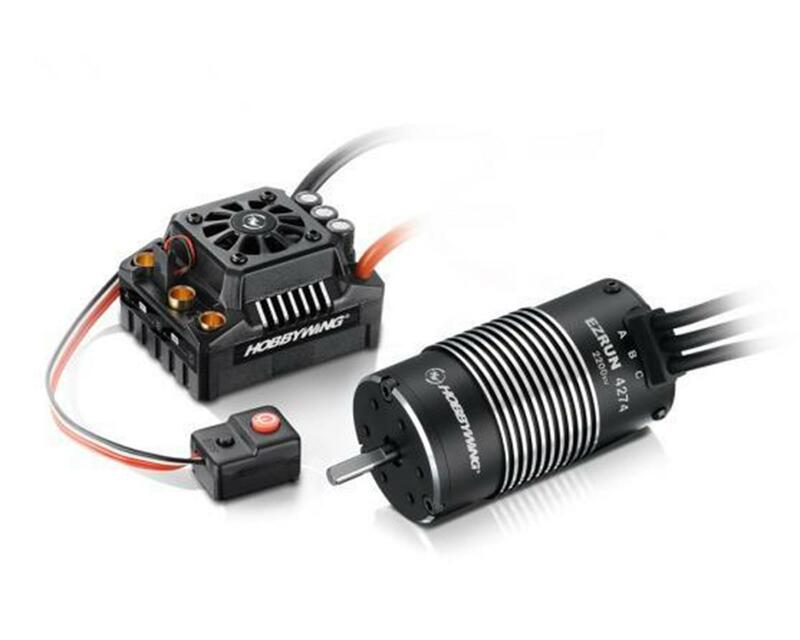 The Hobbywing EZRun Max8 Waterproof Brushless ESC/Motor Combo with installed T-Plug connectors includes a 2200kV sensorless motor to create an all in one power system upgrade for your Monster Truck and other high power applications. This package also includes a Hobbywing Program Box to adjust ESC program settings. The 2200kV EZRun 4274 Sensorless Brushless Motor is compatible with 2-6S LiPo batteries and is a perfect choice for 1/8 scale electric monster trucks such as the Pro-Line Pro MT 4x4, HPI Savage and Thunder Tiger E-Mat.